These fruits do not all ripen at the same time and would not have appeared together on a 19th-century table. 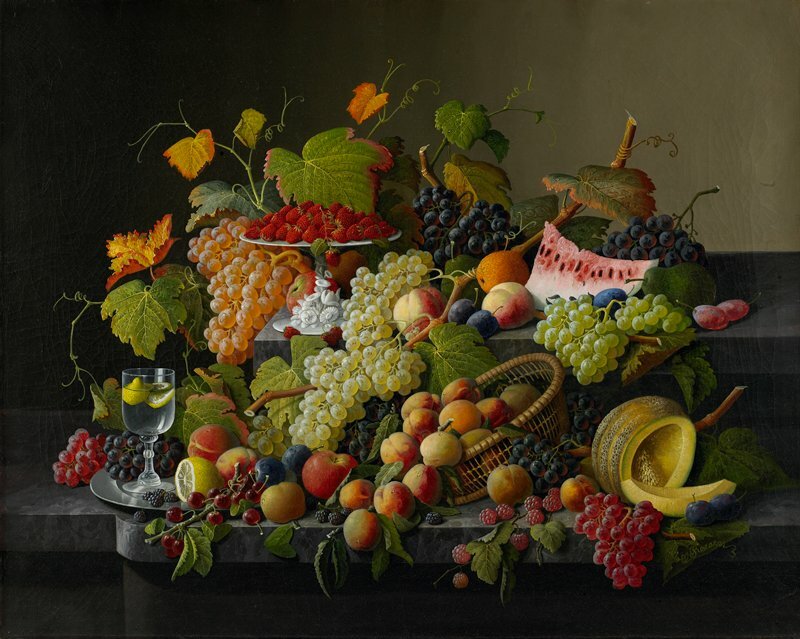 The artist chose symbolism over accuracy: a wealth of fruit speaks of the abundance and prosperity of the young United States. Severin Roesen, a German immigrant who had trained as porcelain painter, was among the most accomplished American still-life painters of the 1800s. He arrived in America around 1848 and worked in New York and Philadelphia before settling about 1860 in Williamsport, Pennsylvania, where he remained until his death. Most remarkable is the sheer size of this painting. Only six works of this scale attributable to Roesen are known today.